A few months ago, I posted something about the death of my friend Shasta Bates, a gifted singer-songwriter that I thought deserved to find success in the music industry. Sadly, I’ve got another friend that add to to that category. 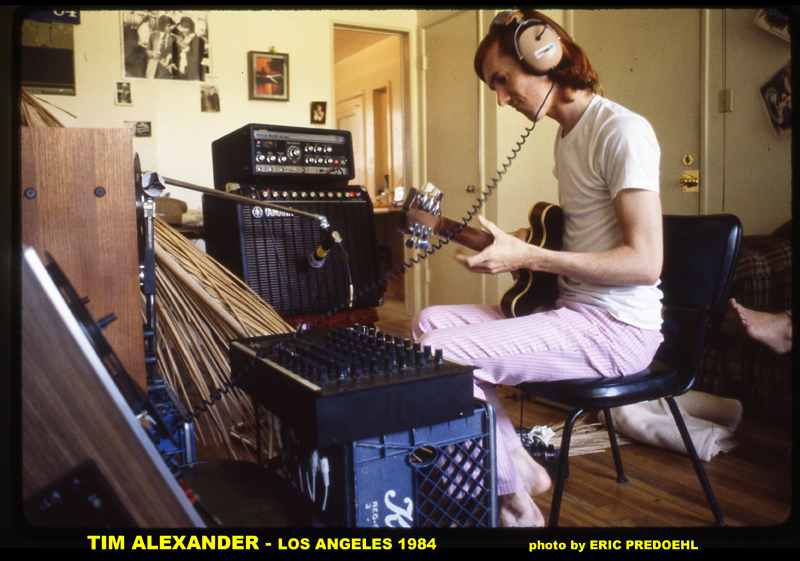 My friend Tim Alexander was one of the most creative singer-songwriters I’ve ever known. I met him years before I ever got involved with the LOUIE LOUIE documentary project. I loved the way he constructed music, blending catchy pop hooks with exotic sounds to create uniquely original compositions unlike anything I’d ever heard before. I was not only a fan and friend, but I was also an investor in his music. Back in the early 80s, I stumbled upon an opportunity to work with a small record label with a New York musician that I believed was a geniune missing link between crazy hippy folk music and primal punk rock music. I wound up working with David Peel and his Orange Records DIY musical empire. I established Orange Records West to help coordinate promotion and distribution with the New York office, as well as work with up-and-coming musicians on the West Coast. 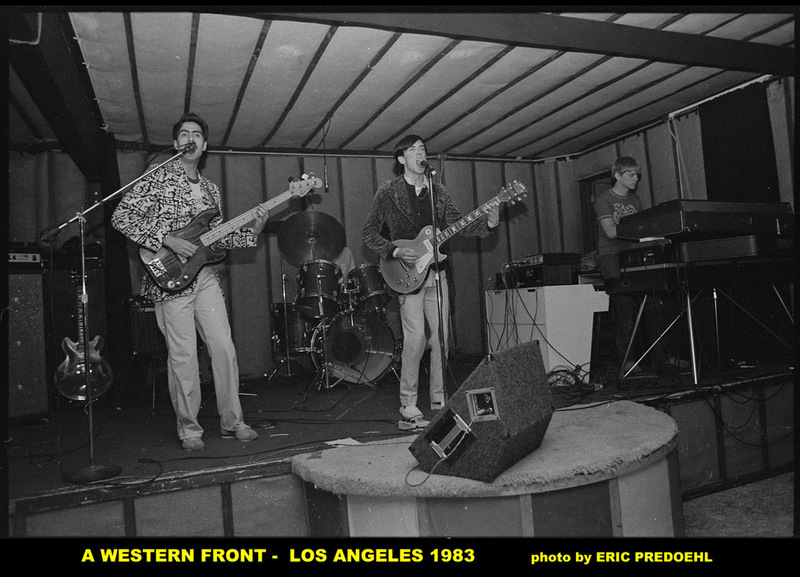 One of the few California artists I brought to the Orange Records empire was Tim and his band, A Western Front. Tim and the band moved from the Bay Area to Los Angeles, where they hoped they would find success in the music industry. Lacking a proper label to share his music, I offered to help Tim distribute his various cassette releases and his self-produced album “OFF TO THE ANGELS” with my Orange Records West business, as I was already working with various distributors. Sadly, the record didn’t sell very well. To make matters worse, the film that we thought would include Tim’s music was released with another name, and an entirely different soundtrack. Later on, I decided I didn’t really want to run a record label anymore. I was more interested in video production, and didn’t want to deal with any additional headaches, other than the ones I already had…. I never gave up on Tim, as I’ve always been a major fan of his music, and loved hearing about whatever creations he shared with me. I did create some video productions for Tim, including this little film production that utilized one of the songs on the 4-song EP that I released…. Here’s a little video I shot when I was attending San Jose State. At the time, I was into using moire-type visual effects, so I used some artsy-fartsy special for this studio production. In retrospect, I think I probably over-did it with the effects, but it is what it is- a special moment in time that turned out to be the only video of this particular song. Luckily, he linked with a guy named Beach and joined forces to create Quagmire Records, which allowed him the freedom to release his music in exactly the manner he chose to release his music. Rest in peace, my friend. You will absolutely not be forgotten. I have so many good memories of Tim. Thank you for sharing yours. Thanks Eric…great little retrospective and tribute to a friend we’ll all miss and were lucky to know. Thank you for sharing. Tim is the most amazing musician, singer-songwriter, recording artist, creator… his legend lives on. He is loved and revered. Nothing can take away the emptiness left by his departure. All we can do is honor his music, listen to it and spread it and send him Love. Tim: May you rock the universe with all the greats, eternally! You deserve perfect bliss. R.I.P. Rest in peace and rock in peace. I will miss you. I can’t wait to see you on the other side. I was fortunate enough to play with Tim in A Western Front back in the late 80’s and I’m saddened to hear of his passing. We lost another member (Dale) in the early 90’s due to tragic circumstances as well. I was a fan of the band long before I was a member and revered Tim’s talent (Biff and Dale too). I recently found the Youtube clips of Tim and AWF and enjoyed the nostalgic trip. I’ve thought of Tim frequently over the years and will remember him well. By all means, please feel free to share MORE Tim videos! Was just thinking of Timmy, and looking for one of songs online (“All Things Must Pass”–okay, actually a Harrison song, sung by Dale in A Western Front), and I came across this. I didn’t even know there was a video of “I’m Without My Rider” and I was in the band. Thanks for this. I’ve been dealing with family health problems of late and somehow that brought me listening to some of “Bab’s” later work. 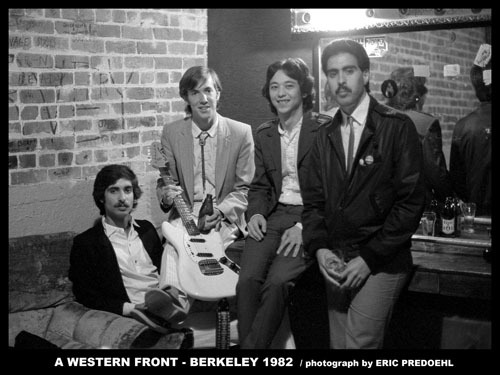 I remember seeing A Western Front at the Keystone in Palo Alto back in the very early 80’s. I was so impressed. I somehow ended up continuing in the music business and always felt a little strange that Tim didn’t find his place in that world (a whole different subject). He has made an indelible mark on my career, trust me. I knew Tim and played in a band with him in the late 90’s for a few months. What a talented writer. I learned a lot about doing music from Tim. The 2 posthumous albums that have come out in the last year or so are possibly the best work of his that I have heard so far. “The Sweet Life” is a fantastic and deep album but Baby! (Comes Alive) just shreds. Loud noisy violent punk blues is how I describe the Baby! Cassette release which I play in my car all the time now. You gotta hear it. Also, can someone please explain what happened to Tim and how he died? I keep hearing different stories some of which sound pretty crazy and so would like to know WTF happened? Hi. My name is Kristen and I am 25 years old. i grew up knowing Tim, my childhood surrounded by his music, his guitars, everything. I am Jennifer’s little sister. I wanted to get in touch with somebody to maybe share some things about my sister and Tim. My sister has since passed, so all those memories are gone and all I have is this blog that I found online today. I still dream about both of them, constantly. A lot of this article sounds familiar, I remember meeting “Beach” at one point, I remember so many things but I still want to be reminded.! Seeing some pictures of him gives my heart some closure. I just never got to say goodbye. He was a huge part of my childhood. If maybe someone could send me an email.